Australian prime minister Tony Abbott has said Gallipoli was one of a ‘tide of events’ that shaped the Australian nation. 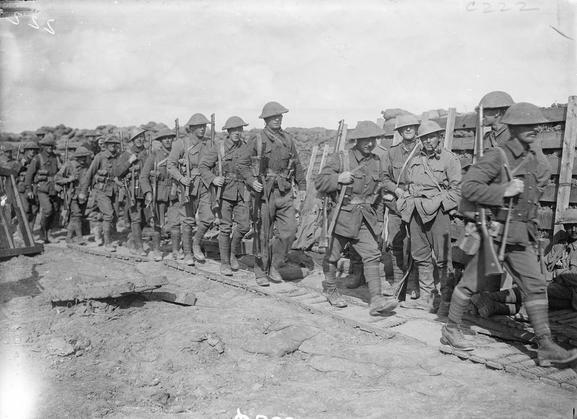 In his Anzac Day address at the Australian War Memorial, Abbott also called for Australians to remember the Western Front because it was ‘Australia’s moment on the stage of history’. He added that the next four years would be special for Australia because they will mark the Centenary of the ‘Great War’. ‘This September is the anniversary of Australia’s first military action: the capture of German New Guinea,’ said the prime minister. ‘In November, we will remember the sailing of the first Anzac convoy guarded by a Japanese cruiser, as well as HMAS Sydney, and ships of the Royal Navy. ‘We will remember the charge at Beersheeba and the capture of Jerusalem and Damascus, spearheaded by the Australian Light Horse. Abbott described such episodes as Australia’s ‘foundation stories’. ‘They should be as important to us as the ride of Paul Revere, or the last stand of King Harold at Hastings, or the incarceration of Nelson Mandela might be to others,’ he said. This entry was posted in News and tagged 1915, ANZAC Day, Australia, Centenary of the First World War, Gallipoli, news, Tony Abbott, Western Front, world news. Bookmark the permalink.